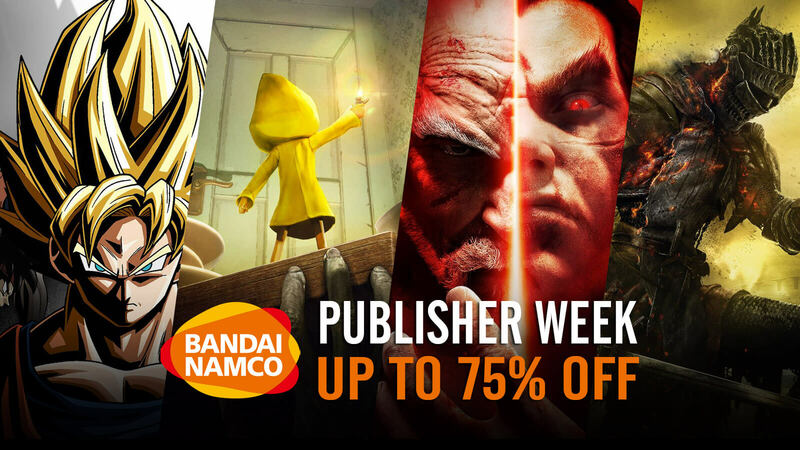 Bandai Namco is celebrating a "Publisher Week" on Humble Store with exclusive discounts on a wide range of games. Publisher Bandai Namco is pretty reputable to fans when it comes to launch fan-favorite titles on different platforms but their claim to fame is doing anime games right and bringing greatness like Dark Souls franchise to light. Keeping those titles in mind, the acclaimed developer/publisher has decided to have fun with many of their published games till date with fans by giving awesome discounts via a "Publisher Week" sale on digital storefront of Humble Store. Entire "Arcade Game Series" featuring titles like Dig Dug, Galaga, Ms. Pac-Man and Pac-Man are all up for grabs as they are down to a solid 50% cost, charging you only $1.99 each. You literally got no excuse to not take a trip back to nostalgia lane after this one. Black Clover: Quartet Knights is a game that is all about magic battle action focused around 4v4 team battles. 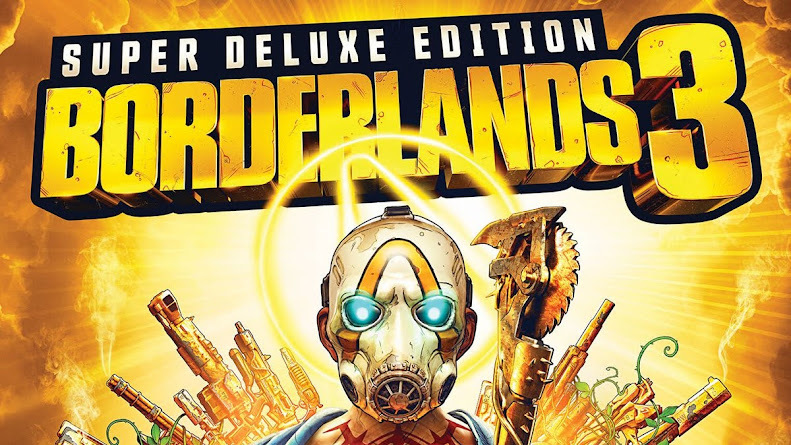 Both its Standard and Deluxe Edition are available to claim for half their original price in exchange for loads of content including a Season Pass. A sequel to action role-playing game of Dark Souls series, Scholar of The First Sin is an updated and worthy edition of Dark Souls II. Everything you have learned and mastered from original release is completely overhauled and on sale for $9.99 only. Then jump on to Dark Souls III going for 75% off or just the Deluxe Edition on 70% drop to draw epic conclusion to an acclaimed trilogy. Also bag in "Ashes of Ariandel" and "The Ringed City" add-on DLCs or just get the Season Pass for half the price. Fans of Dragon Ball universe can have some fist-fighting action with 2D fighting game Dragon Ball Fighterz by developer Arc System Works that won multiple awards in "Best Fighting Game" category and is currently going down 60% on its actual retail price. 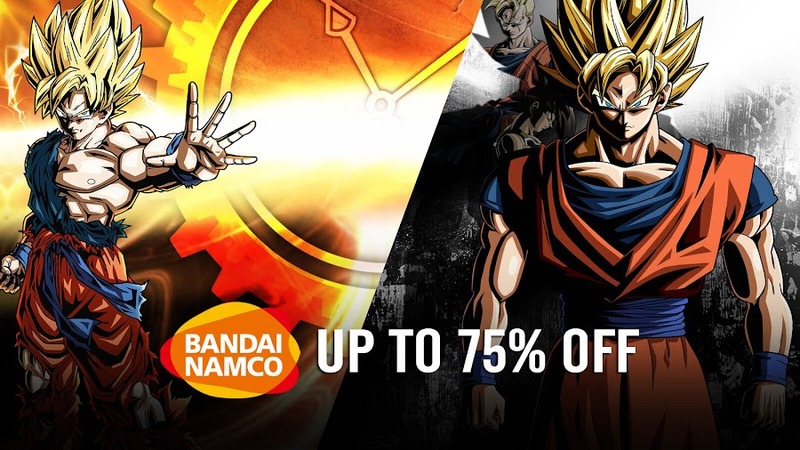 You can venture some more with Goku and friends into a fighting role-playing experience by bagging either or both of Dragon Ball Xenoverse with or without Season Pass and its sequel, Dragon Ball Xenoverse 2 at whooping 75% discount. Beloved Japanese characters Deku, All Might, Shigaraki and many more from superhero manga series My Hero Academia are assembling for My Hero One's Justice. Although a 33% money off doesn't seem much exciting, it still saves you $19.80 on spot. 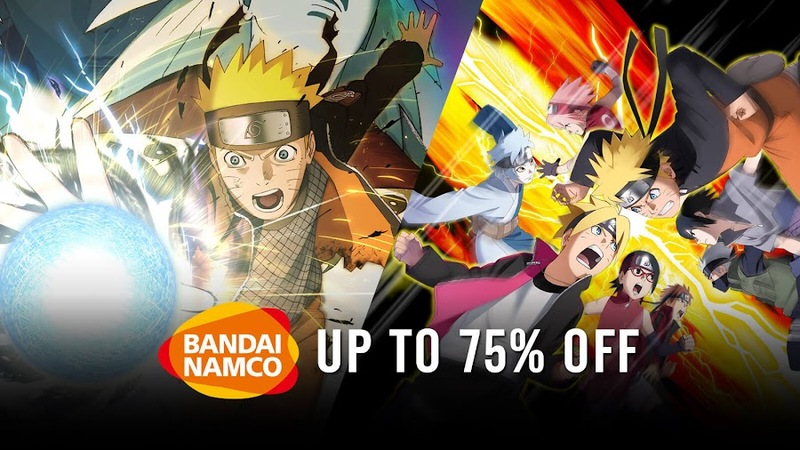 Fans of Naruto anime and manga can't really afford to pass a fighting game on the series even though they are average, which is why Naruto Shippuden: Ultimate Ninja Storm and Naruto To Boruto: Shinobi Striker titles are having up to 75% discount in this sale. Backed with a favorable reception and a considerable commercial success; Ni No Kuni Ii: Revenant Kingdom action RPG is now accessible at 50% less charge. Or just get the full game bundled with expansion packs in The Prince's Edition. 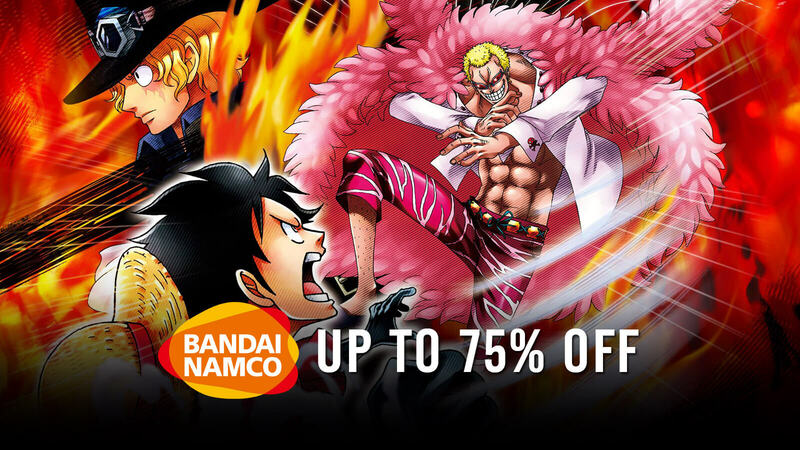 Next up, comes another burning offer on one more fighting game One Piece: Burning Blood from developer Spike Chunsoft. Inspired by pirate legend Monkey D. Luffy, current price tag came down to a quarter of actual price after reduction. Original Project CARS title from motorsport racing simulator series is available for $7.49 only at 75% discount. The sequel, Project CARS 2 and its Deluxe Edition are both up at 67% off but you can simply grab the Season Pass at half price if you got the base game. Ignoring the success of Soulcalibur series is real tough these days now that it passed two long decades of entertaining the fans. Serving as a reboot to the series, Standard and Deluxe Edition of Soulcalibur VI are offering a flat-out 40% price off. For a back-to-back ride within action role-playing Sword Art Online game series, grab either one of Hollow Realization Deluxe Edition and Lost Song for less than 20 bucks. Same things go for Accel World Vs. Sword Art Online Deluxe Edition at an astounding 70%. Fantasy role-playing fans can rejoice with Tales series now as players can have all three of Tales of Symphonia, Tales of Zestiria and Tales of Berseria in a great deal of 50-75% discount, which roughly comes under less than $50 in total. 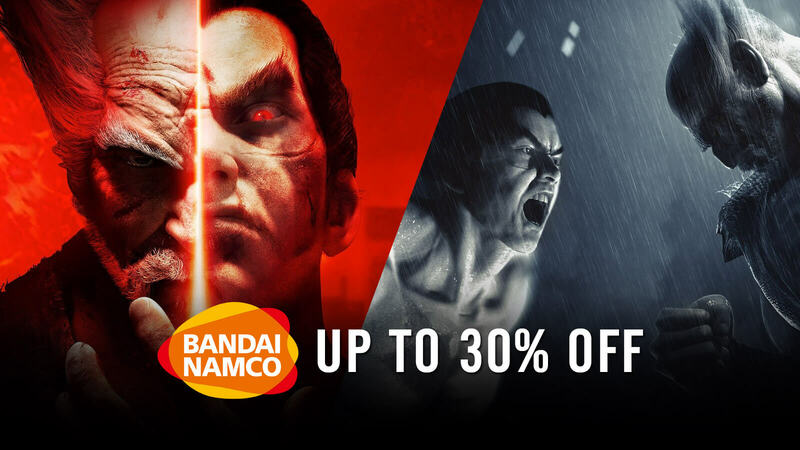 Another of their renowned fighting game franchise Tekken is offering a 30% off on Rematch Edition for additional content and Ultimate Edition for complete experience of Tekken 7, making them available for $48.28 and $62.99 respectively. All of the above-mentioned games, add-ons and season pass will be provided via Key that can be redeemed on Steam by simply linking your account with Humble Store and you are good to go ahead for a fun-time adventure with your collection. Some of the games with mixed to very positive reception from different genres like Attractio, Deadcore, Hexodius, Impact Winter, Little Nightmares and titles from Pac-Man franchise will only cost you less than 5 bucks. 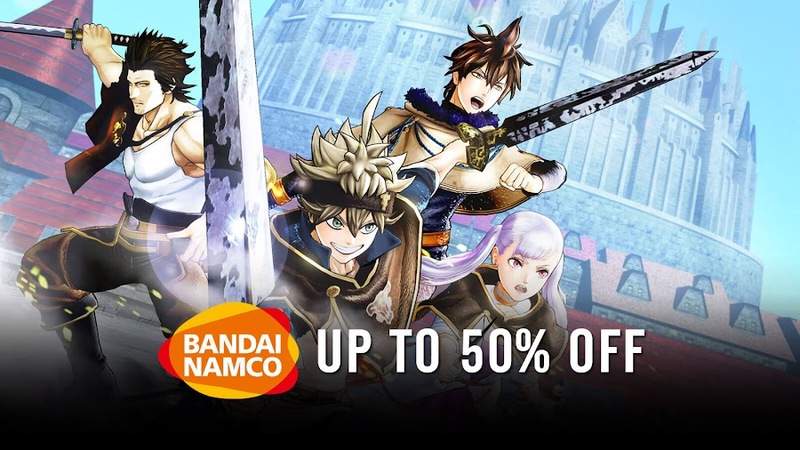 Not only Bandai Namco does launch good titles but they are making sure that you can afford it and Humble Store would even donate a portion of the sale to charity. So, it would be a right time to utilize the deal if you happen to already added them to your wishlist earlier. Early builds of Dark Souls 3 to include secret bonfire system and PvP invasion mechanics by developer From Software. The third entry in the Dark Souls series from developer From Software and publisher Bandai Namco Entertainment, Dark Souls III came out in early 2016 for PC, PlayStation 4 and Xbox One but still houses many unraveled mysteries for players to discover today. Recently, a YouTuber named Lance McDonald has discovered a hidden multiplayer content that has been left within the game without completing and never revealing to the masses. Some of these were part of the original leak from the game before it was released. Sounds interesting, right? Following is a video that McDonald has uploaded lately where he shows his findings step by step in playthrough. 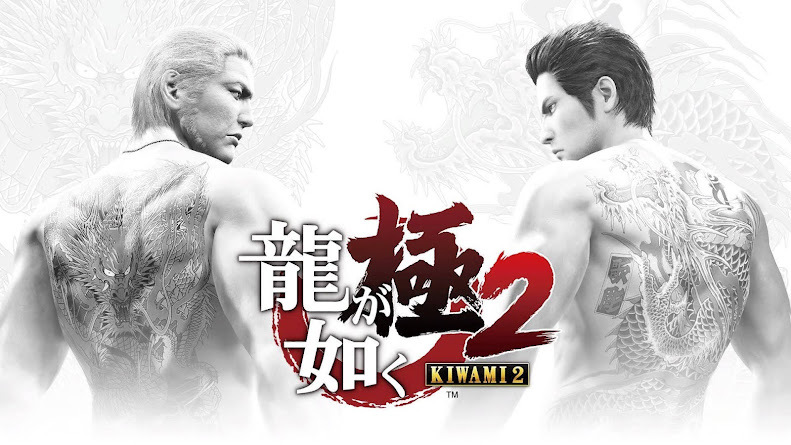 An early leak before the launch of the game suggested that From Software was about to introduce a new mechanic where players could sacrifice enemies in a form of ritual, which will let them invade other players' game and even attack them. The game's first downloadable content, Ashes of Ariandel had a dedicated PvP arena for players to duke it out but looks like, the developers originally intended to mix things up a little bit for player invasions with the new sacrifice mechanic. Somehow, that gameplay system didn't end up getting included in the final version of Dark Souls III but McDonald has managed to dig up details on how it would have been. There is an unfinished Cult Death system for letting players drag down few Hollow NPCs to turn on cult bonfires. 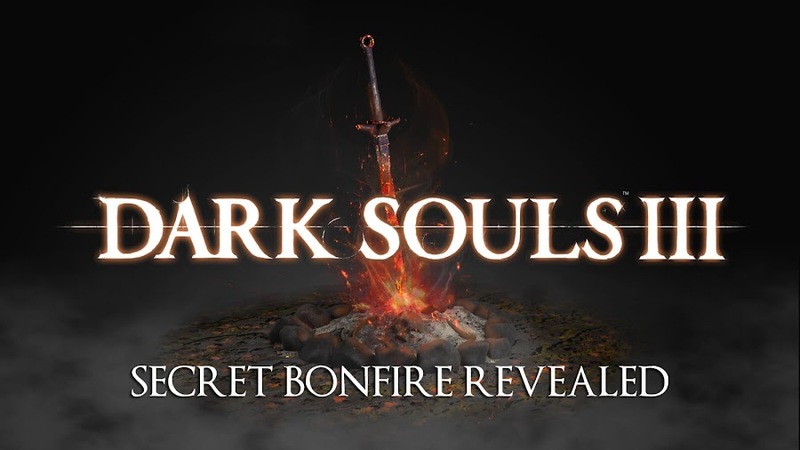 While these portable bonfires would have allowed players to level up or reverse hollowing, there is another type of bonfire that can be created using Ceremony Swords and upon plunging it into an enemy corpse, it would lead to a cut-scene animation. This ceremony was meant to trigger an eclipse that would let them to invade other players in darkened worlds to engage in PvP battles. Since they opted out from this at the last moment, the function doesn't work properly and player character is stuck there. Whatever reasons From Software had for not including this into the final version of Dark Souls III, it could've been such a great fun. Who knows what else content have they scrapped ahead of launch like this alpha multiplayer system and hidden ceremonies? 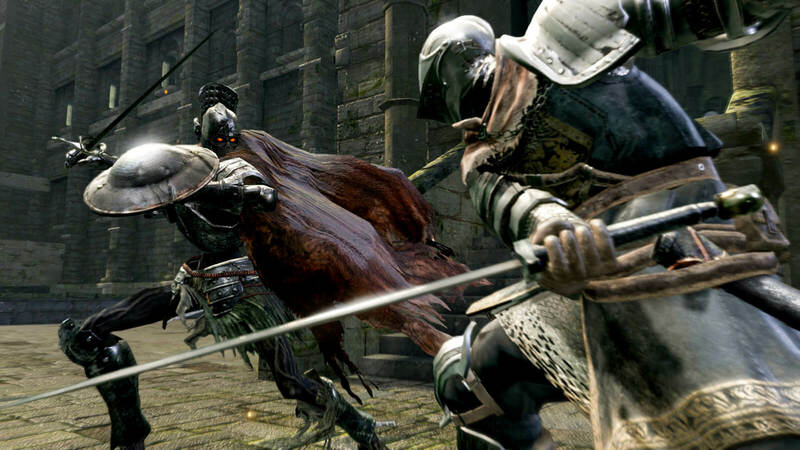 Prepare to die again because, Bandai Namco has announced Dark Souls Trilogy for PS4 and Xbox One. In spite of having a reputation of being extremely hard to play, developer From Software and publisher Bandai Namco received mostly positive receptions for their action role-playing Souls game series over the years. Lately, a remastered version of the first game is released for all major platforms after six years and saw great success, leading the publisher to announce the critically acclaimed series as Dark Souls Trilogy for PlayStation 4 and Xbox One to release on October 19, 2018. Behold the greatness of all three games from Bandai Namco's renowned action RPG Souls series in a new announcement trailer. The compilation includes Dark Souls: Remastered, Dark Souls II: Scholar of the First Sin and Dark Souls III: The Fire Fades Edition along with all DLC released previously. That brings Ashes of Ariandel, Crown of the Ivory King, Crown of the Old Iron King, Crown of the Sunken King and The Ringed City at your disposal. Basically, you are getting best version of every single title from the entire series altogether within this pack to challenge your combat skills and to decide whether or not Lordran can look up to you as its savior. The very first Souls game that pioneered the franchise, Demon's Souls will not be a part of the collection though. One more thing to note is that, Bandai Namco is only releasing collection will not be heading over to marketplace of Europe but to Asia and US only. 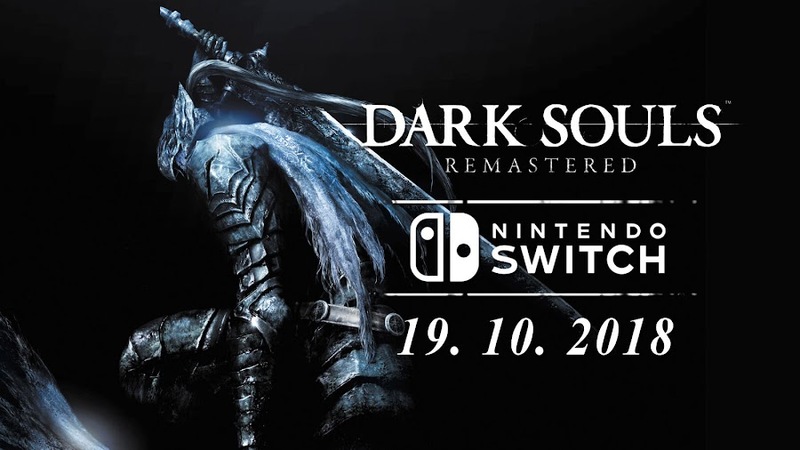 However, they can still enjoy Dark Souls: Remastered for Nintendo Switch on October 19, 2018. Apparently, PC gamers and Switch owners have to sit this one down anyway. Besides, the latter group has already waited five months to get the first game on their consoles. 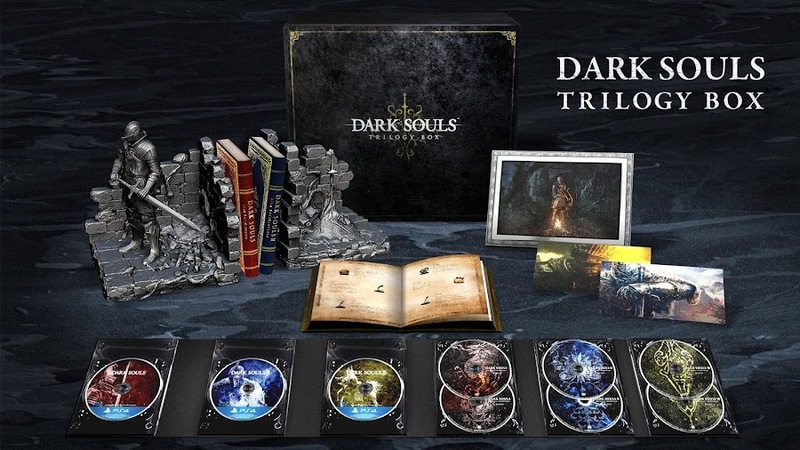 Dark Souls Trilogy for consoles comes in a slick looking SteelBook case for the price of $79.99 only and since physical copies of the release will be limited in numbers, you are best advised to pre-order now to ensure you own one during launch. If you own a console and crave for some great game, then this can be your ultimate pick to dive deep into a dark universe to encounter vicious monstrosity it is going to throw at you. Forces of Annihilation Mod for Dark Souls 3 let you stomp the Kingdom of Lothric as the game's fiercest enemies. Ever wondered how fun experience it would be to play as the boss characters in notoriously tough action role-playing game Dark Souls III of developer From Software? Well, you can just stop wondering about that and simply check out the new Dark Souls 3 Forces of Annihilation Mod by team Datahacks. Currently available on Nexusmods, this free to download mod allows players to assume the role of dreaded boss characters or other enemies from the game they have faced before. To give you the idea of how it is played out, we have a short demo of the Forces of Annihilation and this is brilliantly amazing. Enjoy! 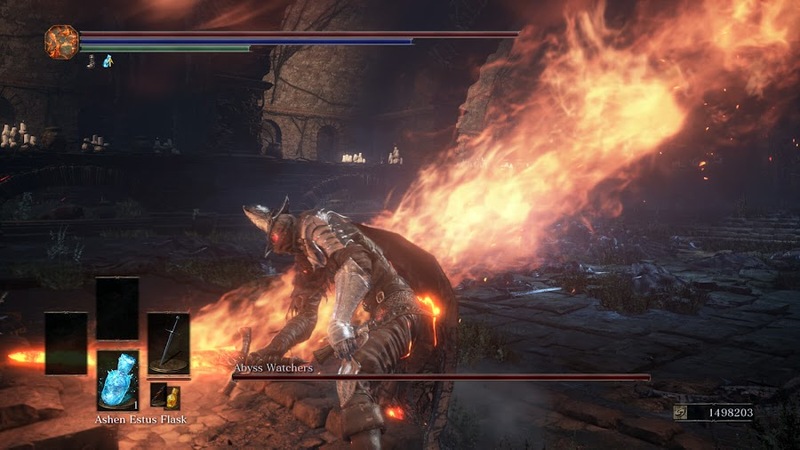 The demo features one of the Lords of Cinder bosses, Yhorm the Giant and shows how tables are turned when he is controlled by a player instead of AI. We see him get up from the large throne room to go outside laying waste to the Jailer Handmaids and fire-breathing Gargoyles with minimum effort. There is a sense of satisfaction playing as Yhorm because, whereas you had to strategize your moves to deal damage to him, you can just swing his gigantic machete at your disposal. Yhorm quickly moves towards another passage, dealing with more Handmaids by unleashing the fury of his blade. Away from the halls, he heads over to the bridge and slays another Gargoyle with ease. Having an extended health bar for playing a boss character is satisfying and watching him weirdly climbing up a ladder was really funny. What is noticeable here is that a great deal of his speed has been traded for brute strength and these were of course by the original design of the character. 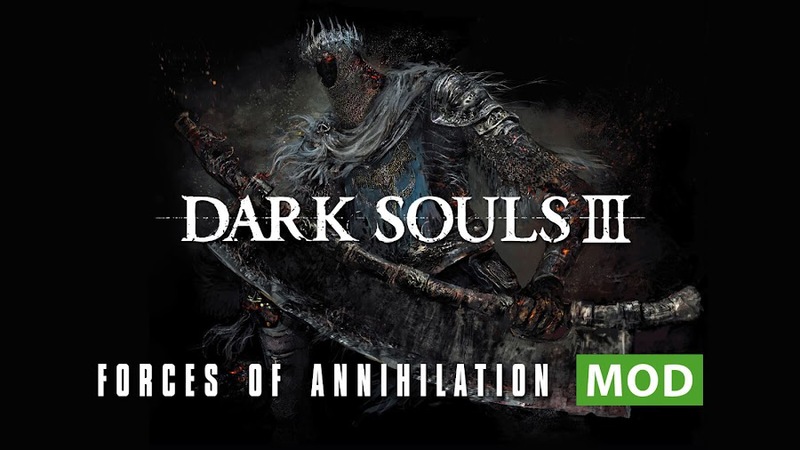 Datehacks modder team has done a fabulous job by creating the Forces of Annihilation Mod to make many Dark Souls III players' dream come true. If you require assistance installing the mods, there is a three part video tutorial on YouTube that explains the whole process of adding it to the game to play as the bosses and their movesets along with camera control. Step by step the developers are adding more enemies to the fold and updating the mod as all of them are not yet available. Undead fans rejoice as long-awaited Nintendo Switch version of Dark Souls: Remastered finally gets a release date. Fans had been petitioning to get a remastered version of action role-playing original Dark Souls from developer From Software and publisher Bandai Namco for longer than you think. They even got that wish fulfilled as Dark Souls: Remastered is currently available to play on PC, PlayStation 4 and Xbox One. Unfortunately, Nintendo Switch version was left out and delayed to summer 2018 by the publisher to an unspecified release date. Today, that day is announced on Twitter to be October 19, 2018. Despite having been scheduled to release alongside other major platforms as it was revealed in January's Nintendo Direct, the game was delayed and players were obviously upset. 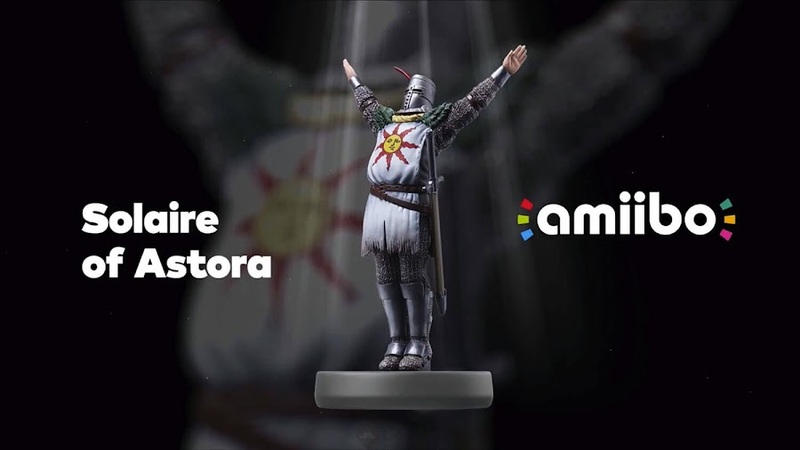 Now the previously planned Solaire of Astora Amiibo will release alongside it for you to unlock "Praise the Sun" in-game gesture with it. Those who were eager to explore Lordran in their next gen Nintendo handheld console on the go can now finally look forward to this because Artorias of the Abyss DLC is also included in the package. Apparently, Bandai Namco is also interested in holding a network test online for the Switch version before it launches but we don't have much detail on the fact just yet. Dark Souls: Remastered will run on Switch at 30 FPS and 1080p resolution if played on a TV set. The improved rates in better resolution let you enjoy the creepy vibe of the series more intensely. Although there are accusations of the game being extremely difficult, it yet leaves a long-lasting memorable impression on your mind. Those who already own Dark Souls: Prepare to Die Edition from Steam will get 50% off on Dark Souls Remastered. Following an announcement in January, we know now that publisher Bandai Namco will release a Remastered version of From Software's original Dark Souls as Dark Souls: Remastered for Nintendo Switch, PC, PlayStation 4 and Xbox One. Back then, there was also an argument over whether or not fans who already own a copy on PC and the responses came from publisher's spokesperson seemed more confusing and contradicting than our own guesses. Finally, it has come to an end. 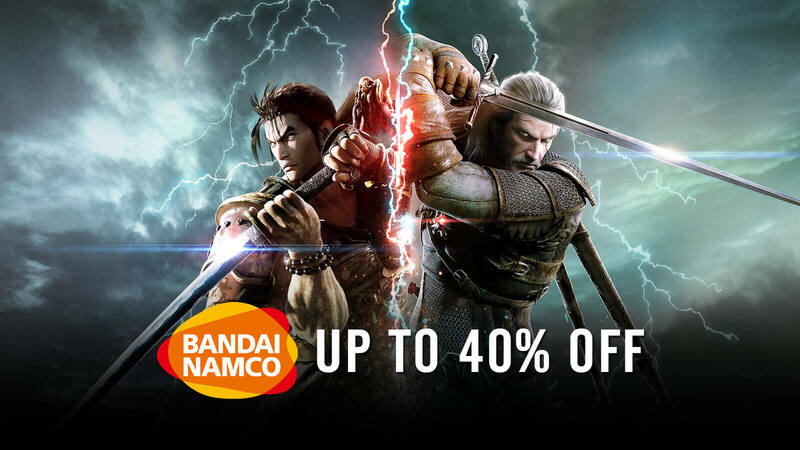 Initially after announcement a few months back, we came to know from Bandai Namco that the game will be available on all platforms for a same price and there will be no discount. They came clean by stating that rumor of a discount came from an error on their e-commerce site, which has since been removed. Later, another post on Steam forums by new community manager for Bandai Namco neither denies nor confirms what to expect on the discounted price topic at all. 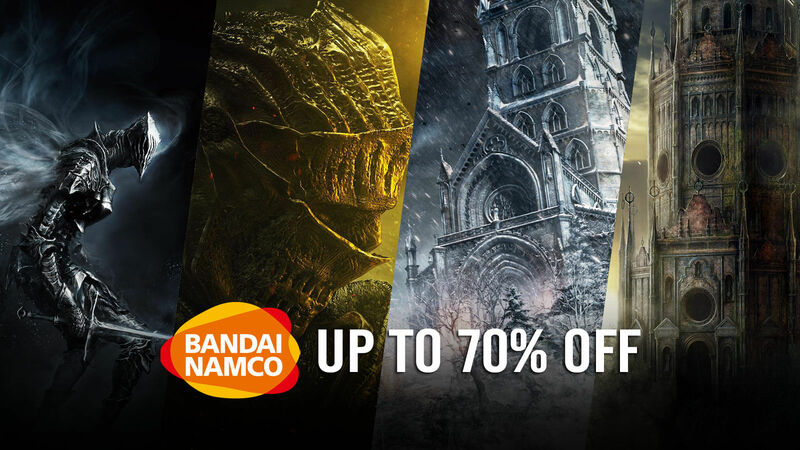 Finally we can come clear on this to end all conflict of information by declaring that if you already have owned Dark Souls: Prepare to Die Edition on Steam then you would get a 50% discount on Dark Souls: Remastered after it is launched. The remastered version is originally priced $39.99, so at half-price, it's like you are getting an upgrade for the game on PC. However, the "Prepare To Die" edition that came with added DLC along with the main game will be removed from Valve's store within May 9. Many players will still be complaining even after the price reduction because a remastered edition is nothing much but mostly a graphically enhanced version and we really cannot argue on that point as it is true. Besides, none of the developer or publisher has revealed anything about including new features or so. There is no scope of price cut for any console owners as this title was not released on any other platforms than PC. We just hope that the game fares better in providing experience than various PC mods out there. Also, did we mention that Bandai Namco has dropped another brief gameplay trailer from the re-release to remind us what is waiting in there to creep upon players? It is right below for you to check out. 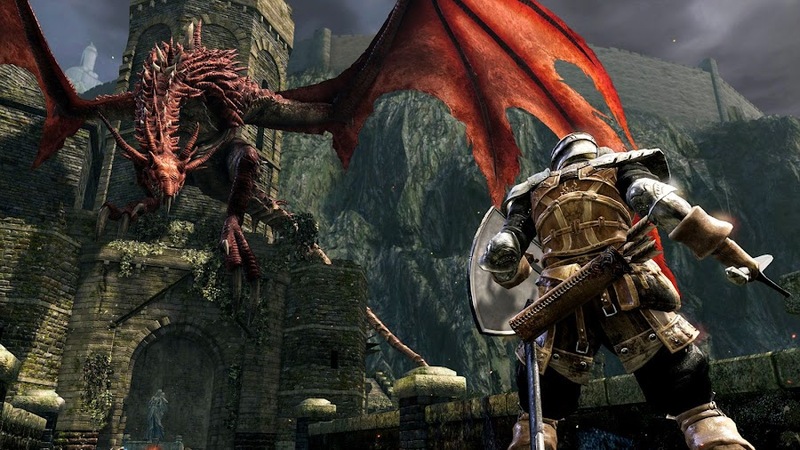 Dark Souls is considered as one of the best action role-playing game ever made and there has been request for Remastered edition for quite long and scheduled for May 25 release on all the mentioned consoles above except Switch, which will debut on Nintendo's hybrid platform at a later date. It seems that just like the game itself, the road to Lordran is filled with preemptive trouble before you even engage in fight with demons and wraiths during your in-game quests. It was back in January 2018, when we first came to know through Nintendo Direct Mini about a planned Remastered version of From Software’s action role-playing original Dark Souls game on Nintendo Switch that was scheduled for May 25 release. Earlier this month, we have a good look at some exclusive gameplay footage of the game in 4K, courtesy of PlayStation Underground. Unfortunately, it was announced today that Switch version is delayed for summer 2018. With an official Tweet, publisher Bandai Namco revealed that release date for Dark Souls: Remastered is currently pushed back to summer of 2018. However, planned versions for PC, PlayStation 4 and Xbox One are still coming out the same day. Though they have not specified the nature of their causality which caused the delay, we have one very simple theory in mind. It seems that Switch port was being developed by a different team other than the ones who worked for console editions and they have faced some unexpected problem that would take time to solve. Also, Solaire of Astora from the game was about to get his own amiibo figurine that was supposed to arrive on the same day is also delayed till Switch version’s new release date. 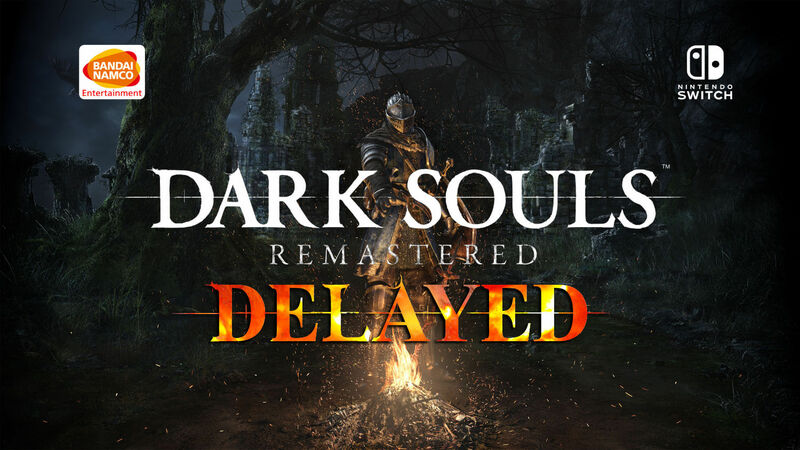 Namco assured that they will make it up to you for this delay by improving your gameplay experience as you journey to Lordran. The network test on Nintendo eShop is still due following their initial announcement of this project. Dark Souls: Remastered was promised to us to deliver enhanced 4K resolution and improved frame rate. It makes us think too that what might possibly happen to a game that showcased a steady gameplay at PAX East, which eventually pushed back their deadline for the time being. If this attempt to remaster project is successful with support from fans then From Software may consider about Dark Souls II and Dark Souls III as well. A very few games that are tough as nails like From Software’s action role-playing game Dark Souls can garner a fan following that keeps up a petition for a Remastered Edition for this long, which finally is paying off. 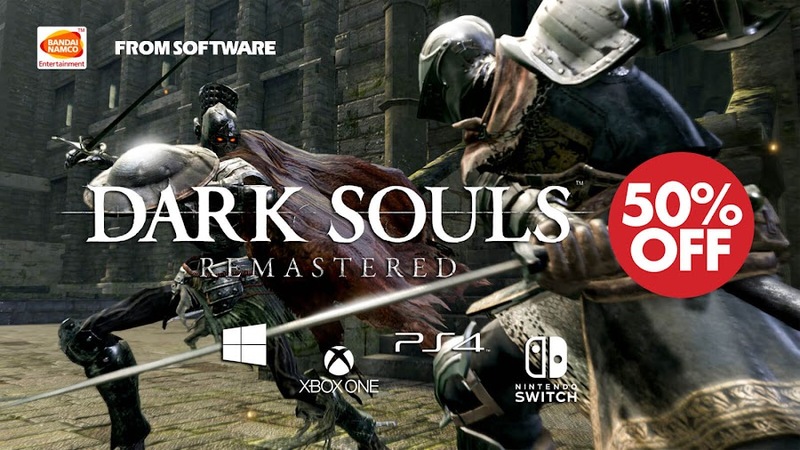 May 25, 2018 will see the release of Dark Souls: Remastered on Nintendo Switch, PC, PlayStation 4 and Xbox One. The appeal for the original title hasn't faded a little in past seven years. Many revelatory action RPG came and go, Dark Souls II and Dark Souls III were released, Sony released PlayStation 4 console but still, we very much needed Dark Souls: Remastered. Bandai Namco seriously deserves some praise to bring back tons of fans' dreams into life by working on it. Fans worldwide are just not waiting for a full remake treatment but need added content and improvements on original title. As a courtesy of PlayStation Underground, we have exclusive gameplay footage from world of Dark Souls: Remastered in 4K! The exclusive gameplay showed above is captured in 4k resolution and 60 FPS as a preview of how things are going to be in Remastered Edition. Getting back at it with protagonist Chosen Undead is like a ride back memory lane exploring open world of Lordran around you as you cautiously take your steps behind a shield. Veteran players had also taken time adjusting to the gameplay at start. If you were a skilled player of your time then figuring out playing part once again with Dark Souls: Remastered will be no problem for you. Your undead adversaries will fall before you as you constantly make progress. Players who have been through Bloodborne and Dark Souls III know how it is around with a mob on your tail. In comparison to that, original Dark Souls can be pretty quiet and lonely. Well, don't just get depressed just yet. Plenty of booby traps and sudden ambush attacks every now and then will keep things exciting for you. That's right. All the items and enemies are right there for you. So, keep your eyes open to protect your hide from those sneaky undead residents. A fine aspect is of course the soundtrack, which is out there blending perfectly with the environment yet it's almost non-existent. Your 4K-experience will be intensified if you just put a pair of headphones on. It will make boss killing moment or facing opponents like Black Knights or giant rats as real as it can get. Once you play the game, you will realize that they have done more changes and tweaks than a few visual upgrades. Another great thing about Dark Souls: Remastered is that now it allows more players to join in. Originally, four-player were allowed to take part in their quest but six-players are accessible for multiplayer. Try imagining six friends who enjoys Dark Souls with somewhat same level of intensity in a same-room because, it is also coming to Switch. Aside from playing at a 30 FPS rate and a 720p handheld mode, we believe it has great potential considering an exciting six person multiplayer mode. This could literally give the title an overwhelming reception from Switch owners and led to Remastered Editions of Dark Souls sequels. Although, TV mode offers you a 1080p display, having six television sets on a same room is very unlikely to happen. Dark Souls was originally released for PC, PlayStation 3 and Xbox 360 by developer From Software and publisher Bandai Namco back in 2011. 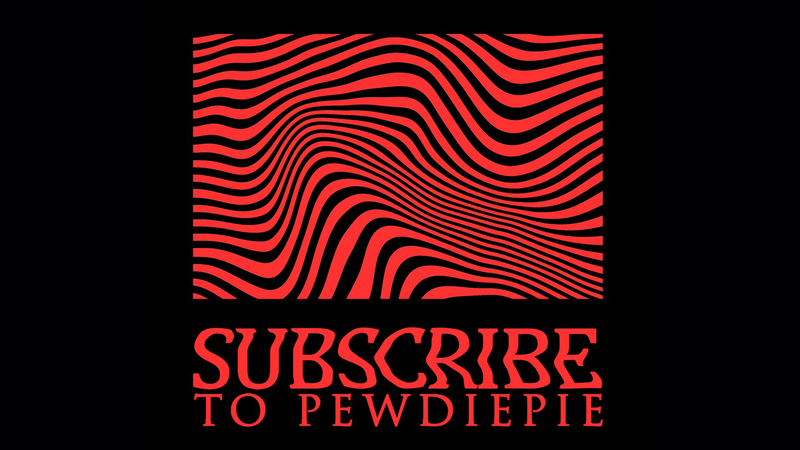 It has a notorious reputation for being ruthlessly difficult among fans but the sooner you will get a grip at what is going on and what you want to do, you will pass through pretty easily. Hold onto it and don't just leave the battlefield at first sign of trouble. Developed by From Software, Dark Souls is an action role-playing game which is considered as one of the best of its genre. The game has two successors; Dark Souls II and Dark Souls III published by Bandai Namco. Recently, they have decided to release a Remastered version of the original Dark Souls and with that, fans of the series gets to go back to the kingdom of Lordran once more. 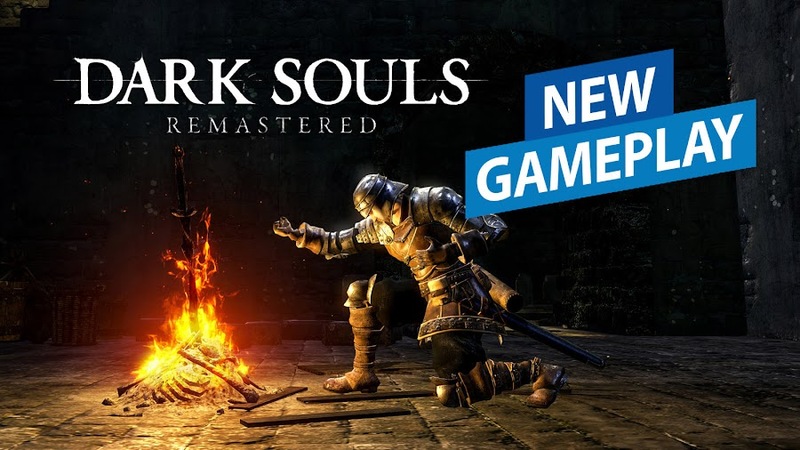 Whether you are a long time die-hard Dark Souls series fans or newbie waiting to take a dig at the game, we present you the short announcement trailer of Dark Souls: Remastered from Bandai Namco. For long, this critically acclaimed game has been awaiting a Remastered treatment for long and there is even a petition regarding the issue at change.org that has more than 9 thousand signs requesting some patch and adjustments to make the game perfect. 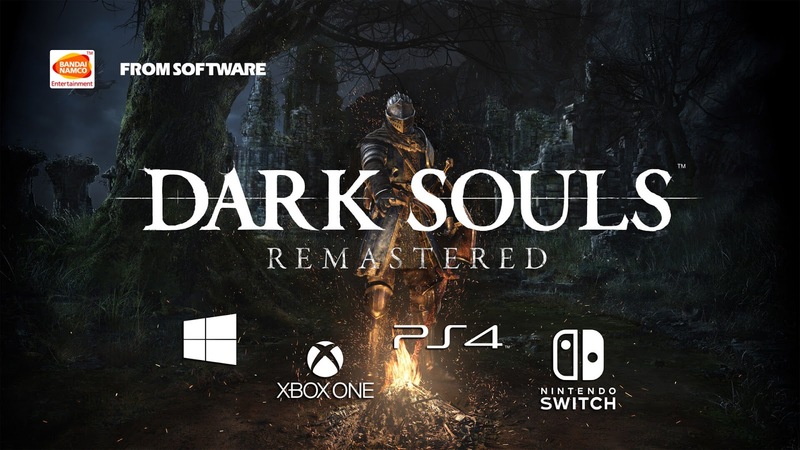 Dark Souls: Remastered will be released for Nintendo Switch, PC, PlayStation 4 and Xbox One on May 25, 2018. 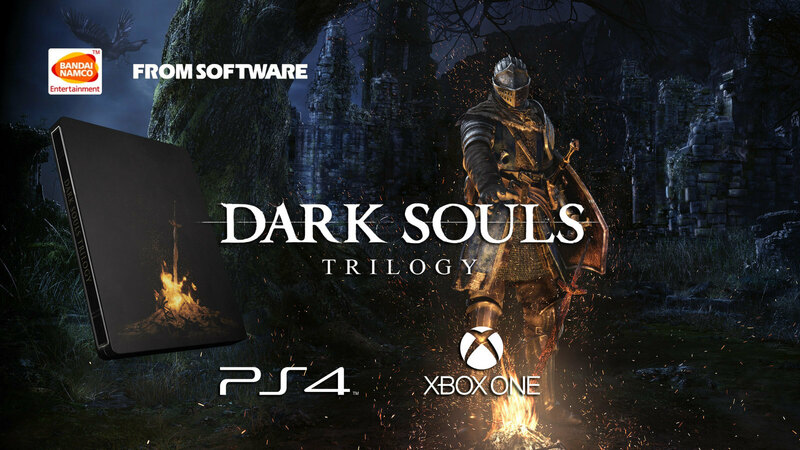 Reportedly, a Dark Souls Trilogy box has been announced for PlayStation 4 in Japan containing Dark Souls: Remastered, Dark Souls II: Scholar of the First Sin and Dark Souls III: The Fire Fades Edition. Dark Souls: Remastered will run in 60 fps on all other platforms mentioned above except for Nintendo Switch. At 30 fps, you can have 1080p in TV mode but you have to settle for 720p for handheld mode of the game on Switch. PlayStation 4 Pro and Xbox One X are getting the visual enhancements in 4K resolution as usual. Aside from the visual improvements, From Software and Bandai Namco are now allowing up to six players for online multiplayer. The original Dark Souls was released for PlayStation 3 and Xbox 360 back in 2011. Then after a year later, it saw the PC debut which was called Dark Souls: Prepare to Die Edition. Dark Souls II was out on 2014 and Dark Souls III is the most recent of the franchise that saw the release in 2016.